Goldheart Jewelry, from Singapore, decided to make a chatbot called Bling for Facebook Messenger. The chatbot will help its users to select a ring for their significant other by asking a series of questions. Is the chatbot a marketing gimmick or does it do its job? Let’s find out! Based on what you select, the chatbot will give you five options. If you like the rings, you can hit “shop” and the chatbot will take you to Goldheart Jewelry’s official page. You can also share the rings with your family and friends on Facebook Messenger. You can also pick a ring based on the 4Cs. As you select each ‘C’ individually, the chatbot will give you additional information on how to select each ‘C.’ Once you choose the 4Cs, the chatbot will show you the proposal ring. If you don’t like what you see, you can start over. The chatbot doesn’t only show you only proposal rings. The chatbot also has a proposal guide, to help you out. The chatbot will give you creative proposal ideas, places to propose, and methods to find the ring size. If you select creative proposal ideas, the chatbot will ask you about her tastes. Depending on what you choose, the chatbot will suggest romantic and unique places accordingly. You can also the chatbot to send reminders on important dates such as birthdays and anniversaries. When you select this option, the chatbot will ask you about your relationship with this person. After that, the chatbot will allow you to set a reminder. You can also use the chatbot to find a store near your location. If you want, the chatbot will direct you to Goldheart Jewelry’s official website. Also, you can talk to the employees of the company if you want. The chatbot also has a lot of facts and tips on jewellery such as 999 s 916 gold, Si Dian Jin, eternity rings, and more. Overall, Bling is a well-programmed chatbot for Facebook Messenger. 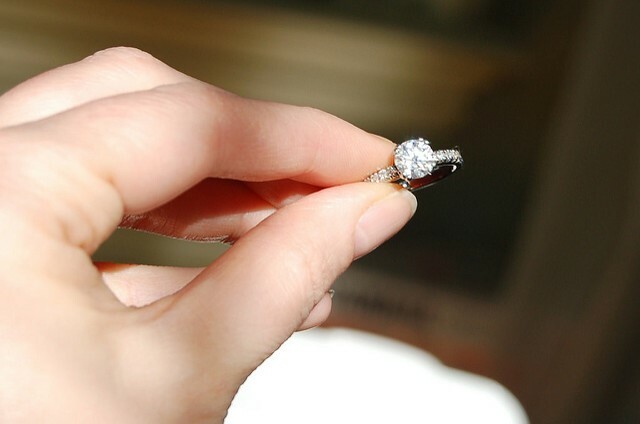 It gives you information regarding diamonds so that you can make the right decision. The chatbot will also provide facts and tips about jewellery. The chatbot is capable of providing ideas on where you can propose to your significant other. It can also save birthday and anniversary dates of your friends and family. Even if you are not looking to buy your significant other a proposal ring, you should still give Bling chatbot a try!